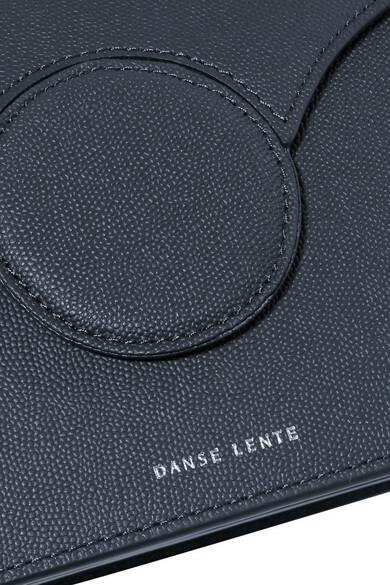 Danse Lente's 'Phoebe' achieved It bag status so quickly that the London-based brand just had to release it in a mini size. 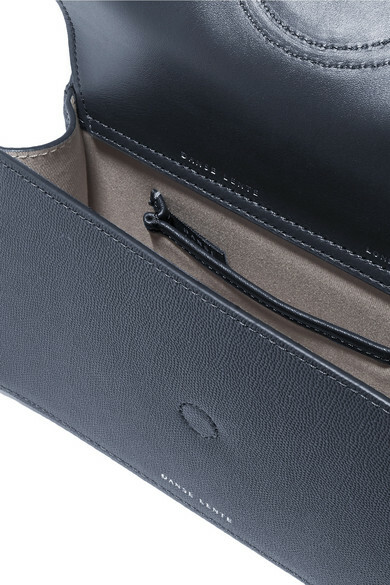 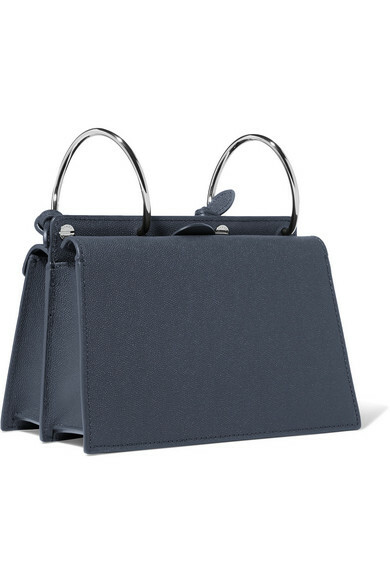 This petite version is crafted from navy textured-leather, and features the style's distinctive coiled hardware. 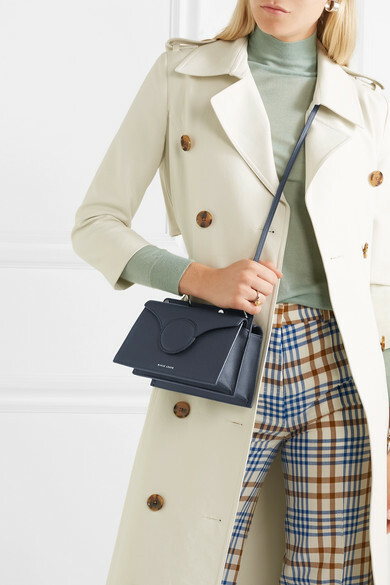 Shown here with: Khaite Trench, Joseph Sweater, Victoria Beckham Pants, BY FAR Sandals, Bottega Veneta Ring, Leigh Miller Earrings.